The U.S. Department Energy sees “enormous” benefits to fully integrating microgrids into the grid nationwide on multiple levels, a DOE official told a group of energy insiders in Boston Thursday. Dan Ton, a DOE program manager, was the keynote speaker at a microgrid controller symposium, which drew about 150 people to Boston’s District Hall. Much talk exists now about smart cities. But smart cities won’t do their job without microgrids, according to Ton, who works within the DOE’s Power Systems Engineering Research and Development Office, Electricity Delivery and Reliability (DOE OE). “The smart city by itself – interconnecting infrastructure via an ‘internet of things’ – cannot be resilient. 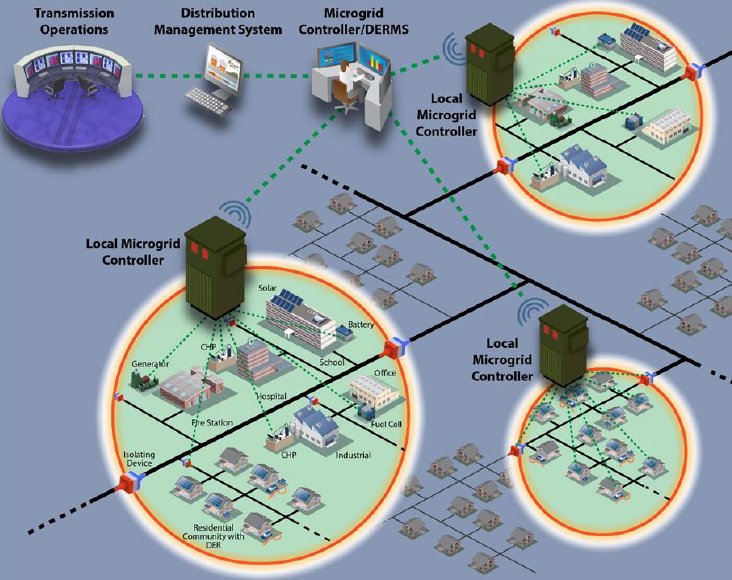 A collection of microgrids around critical loads (critical infrastructure) is necessary for that,” Ton said. That is part of the reason the DOE has made microgrids a priority since 2011, in particular a key piece of software intelligence: the microgrid controller. Several federal research labs are focusing on microgrid research and development, among them Argonne, Brookhaven, Lawrence Berkeley, and Oak Ridge National Laboratories. Work also is underway by the Electric Power Research Institute and the Massachusetts Institute of Technology Lincoln Laboratory. 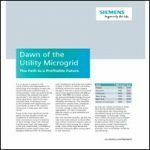 Microgrids are often perceived by the general public as a collection of small power plants serving a discrete set of customers. While the wind turbines and solar panels may be what shows up in the photos, it is the microgrid controller that makes this mini-grid a prize for the U.S. electricity system. 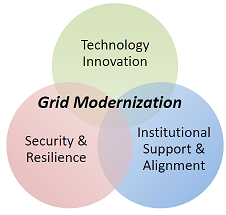 And as controllers become more advanced, so does the value of microgrids to the national grid. Are you on Facebook? If so please ‘Like’ Microgrids here. Microgrids began to grow in popularity after SuperStorm Sandy because they can keep power flowing in a crisis to critical facilities, like hospitals and fire departments. Now, however, advanced microgrids are gaining increasing attention because they can make the central grid function better. Among other things advanced microgrids can help balance demand with sources and integrate renewables and other forms of distributed energy. This advanced communication occurs by way of the microgrid controller and utility demand management systems. The DOE is concentrating on how these systems operate together on a utility distribution system. The DOE has granted $1.2 million in funding to seven two-year microgrid R&D projects that focus on design and controls. Field demonstrations of system designs are expected as soon as next year. The DOE also is supporting creation of IEEE standards for microgrid controllers. 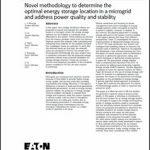 The advanced microgrid controller opens the door to a smarter smart city, one that prioritizes electric customers as critical and non-critical, uses its energy resources efficiently, and gains best pricing in wholesale electric markets, according to Ton. “A smart city would include multiple microgrids, interconnected with the distribution system and managed through the interaction of the DMS and microgrid controller,” he said. The bottom line? As the DOE sees it, advanced microgrids can enhance efficiency and use of renewables and help build “a self-healing electric power system that the American people and the American economy require for continuing well-being and future development,” Ton said. Track advances in microgrid controllers by subscribing to the Microgrid Knowledge newsletter. It’s free. Microgrids not only provide better integration of distributed energy resources with the grid, but they provide better integration of distributed energy resources within the microgrid (resource smoothing, demand smoothing, alignment of supply and demand and storage), and can themselves by logically and operationally subdivided into smaller microgrids that offer the same benefits to themselves and to the microgrid that contains them. That’s why I am working in The Energy Mashup Lab on open source software to make it easy for microgrids to be ubiquitous, self-assembling, and recursive.